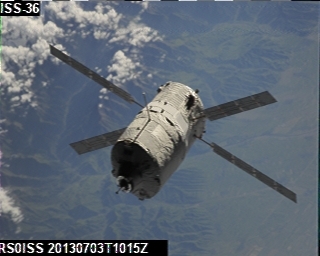 Seems several images were sent in Martin 1 mode when the ISS was in range of Moscow. Here are a couple of images received by stations in range. 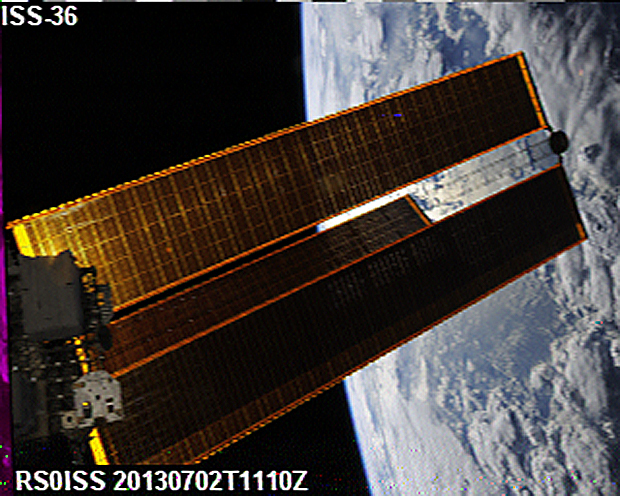 The first is one of the ISS solar array was captured by UB4UAD on July 2. The second one is a shot of the Automated Transfer Vehicle (ATV) built and launched by ESA and was received by PD0RKC on July 3.